Once upon a time, in a dark forest far away, young siblings Tommy and Lisa went for a short walk in the woods. When they came upon a beautiful house covered with sweets, they could hardly contain their joy. It happened that a strange old woman lived in the house. She greeted the children and invited them in to enjoy more delicious treats. As you may have already guessed, the children find themselves in great danger when the old woman locks up Tommy and demands that Lisa find the lost gingerbread man if she wants to see her brother again! Accompany Lisa as she sets out on a strange and magical journey to find the lost gingerbread man, learn more about the evil witch and save her brother! Get free bonuses and rewards! 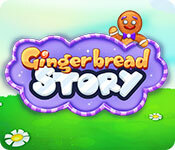 Gingerbread Story is rated 3.4 out of 5 by 8. Rated 5 out of 5 by meggi_si from Not bad. Relaxing game. I have plyed this game for few hours and it was fun! Rated 5 out of 5 by valuce from I like it This game is very funny and interesting. Very enjoyable story and different adventures! Many interesting levels. I like it. Rated 4 out of 5 by Luvago from Colourful Match 3 The storyline has been explained by Pennmom,so the game is centred around rescueing her brother from the Witch. 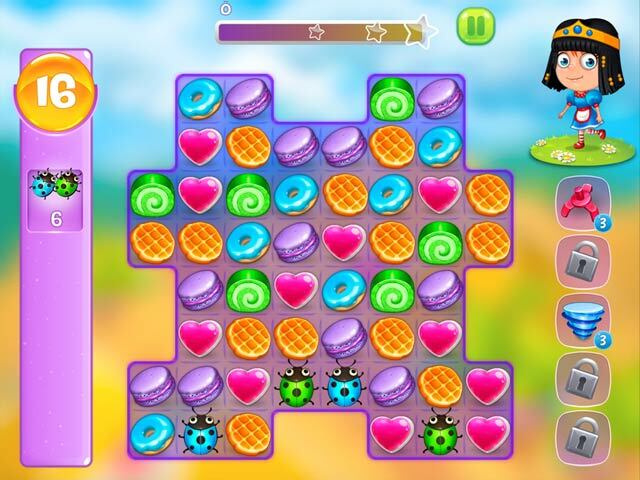 The witch has to be fought every few games, during which she changes cakes to add to difficulty for matching & achieving the goals for the level. Of course we get up to 3 stars per level, & earn coins to purchase extra moves & some bonuses. Other bonuses can appear through the game. There are also obstacles, & some cakes can't be matched but can drop off board when others are matched over them. I really like the colourful graphics, good enough to make me want to head for the local bakery! :) But if you lose a level, the sister cries very realistically, & after 3 lost levels (which you do replay) she nearly drove me potty. With repeats of levels after Lvl 4, I played 22 lvls before time was up. At 1st I thought this was mostly for kids, but it does get a bit tricky after Lvl 3, but not too tricky- every game needs to be a challenge or else boring. If you like a bit of colour in your life, then give it a try. Rated 2 out of 5 by cyndrap from Cute game but I liked this game and would have bought it BUT It has limited moves, not timed but limited. The music is repetitive and irritating. The little girl's "yahoo" noise got on my nerves The witch sounded like a moose in heat. I liked a lot of the components of this game but had to pass because of the above issues. Rated 1 out of 5 by karenmusik from If you want coal in your stocking... Was looking for some fun during my winter break. This wasn't it. Annoying characters with annoying noises. Plus you have to purchase extra level-ups in the game? Why would I pay for this? 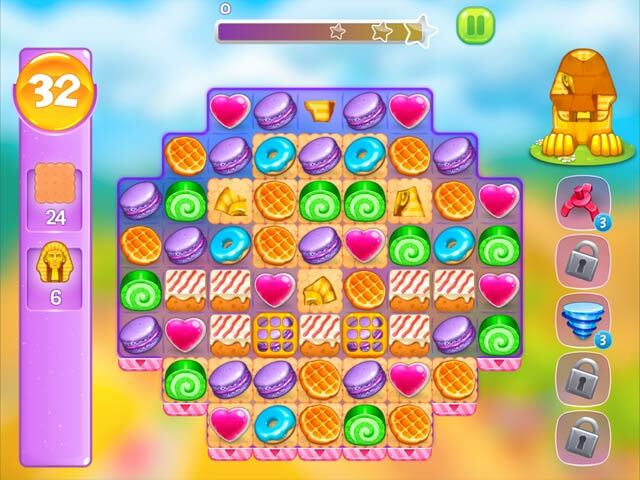 Rated 1 out of 5 by pennmom36 from NOT HOT BUT IT IS STICKY SWEET Another sugary sweet Match 3 game with Limited Moves, and some really annoying features! I became so annoyed with the little girl saying whoo who, every time I made a match, and as if that wasn't annoying enough, they had to throw in a witch that kept making all kinds of evil grunts and groans. I've never been a fan of Limited Moves Match 3 games, but if they are fun, I'm willing to overlook it, unfortunately this game isn't fun. The story makes no sense to me at all, a grown woman visits the local candy shop every morning. That's a whole lotta sweets, who goes to a candy store every day much less in the morning? Today however, she sees something new that catches her eye, a gingerbread house. She's struggling to recall what it is about this house that looks familiar, oh yea, she suddenly remembers that as a child her and her brother wandered into the forest and stumbled upon a real Gingerbread House. (okay possible easy to forget) Then the Witch offers them a treat (okay unlikely to forget a witch with her favorite sweets) and lo and behold, it was a trick and the evil witch kidnaps her brother! (extremely unlikely this part isn't memorable) Before the start of each level, you are given the choice to add Boosters such as 5 extra moves, or a Bomb Blaster. You are also given quests to achieve such as completing levels 4-6 without losing. Once you complete the quest, you must click the "get" icon which will reward you with a Bonus feature available within the level themselves. Each level has different goals, such as making a specific number of matches of whichever tiles, or clearing all graham cracker cells. As you progress, Bonuses are added that are in limited supply, but more can be purchased with the coins you earn playing the Match 3 games. There are Bombs, Column and Row destroyers, Rockets and bonuses that remove a specific tile. You can earn up to 3 stars, and the levels are re-playable, if you run out of moves you are given the option to add 5 additional moves if you have enough money. Some of the obstacles and tasks are unique, such as moving saw blades to the bottom of the board to cut a log, or making matches under a rock with an attached rope that allows the rock to hoist the girl to the top of a mountain or well, to rescue the Gingerbread man. There are also tiles that are locked behind waffle cages that require matches of whichever tile is caged. Some levels involve defeating the evil witch who casts a spell after each move, adding tiles that don't move, the only way to remove them is to make adjacent matches around the blocked tiles. In the end, I just had no desire to continue playing this sticky mess of a Match 3 game, especially when I have to hear all the moans, groans and whoo whoo's. 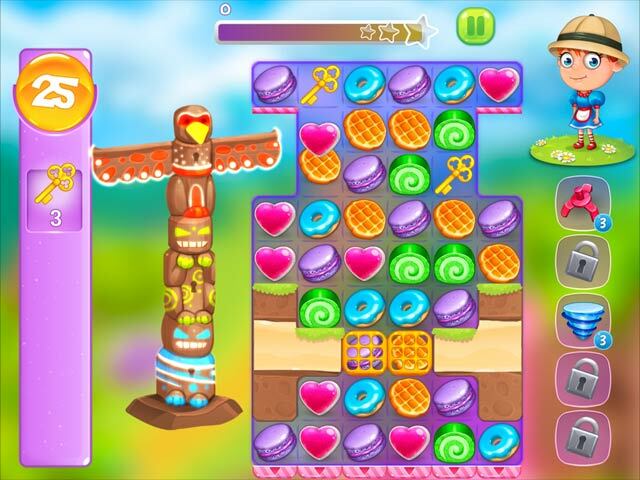 Explore a sweet world and defeat a tricky witch in this match-3 adventure!